Philadelphia!! There are soooo many places in the City of Brotherly Love that make a perfect backdrop for a photo session. 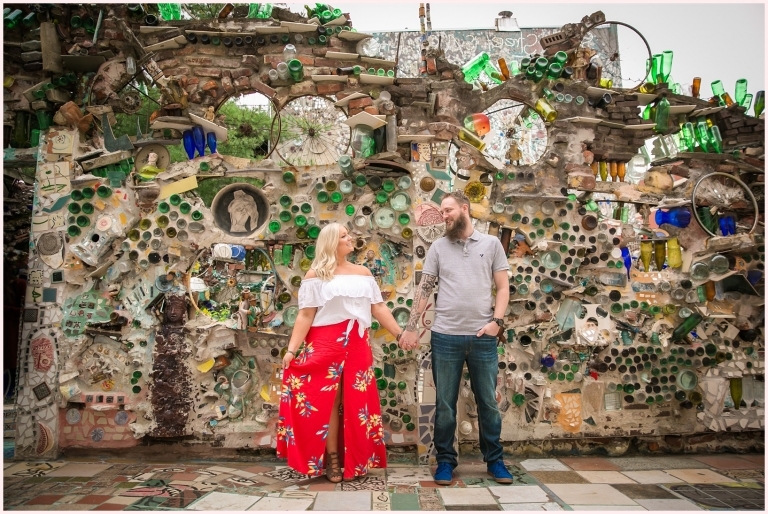 One of those places is nestled away on South Street… full of eccentric art, colorful murals and just about as much mosaic creativity as you can squeeze into a 1/2 block, Philadelphia’s Magic Gardens is downright extraordinary. When Janell mentioned possibly having her engagement session there, I was so excited! Our 60 minutes that we booked with Magic Gardens flew by, leaving me wishing for just 10 (or 60) more! Her pop-of-red skirt went perfectly in the non-traditional artistic haven and my photography-loving soul couldn’t be any happier. 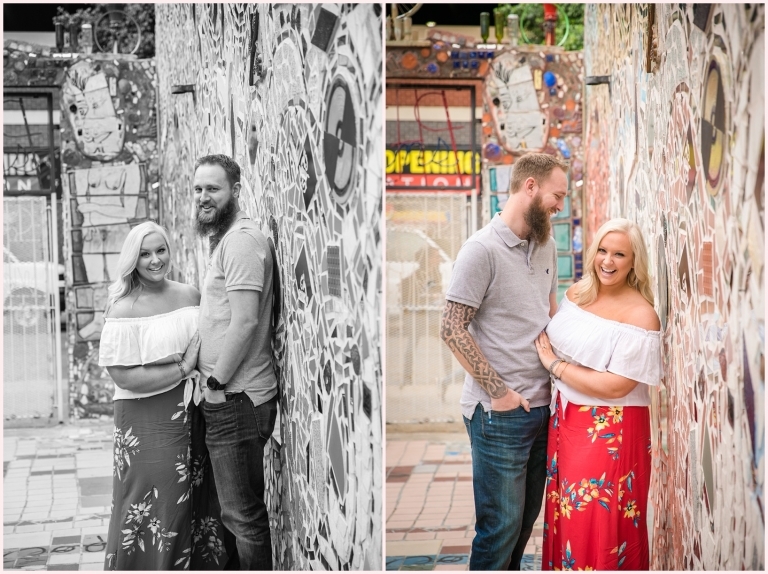 Of course, we also had to incorporate what spoke to Shaun’s soul as well….. also bold and colorful, I have to say… his beautiful electric blue Jeep, which I was so honored to take a ride in 🙂 Enjoy some photos of their fun and bright session! !